Former U.S. President William Clinton stomped for Congressman John Hall at the International Brotherhood of Electrical Workers Local 363 in Harriman, NY on Saturday, October 30, 2010. 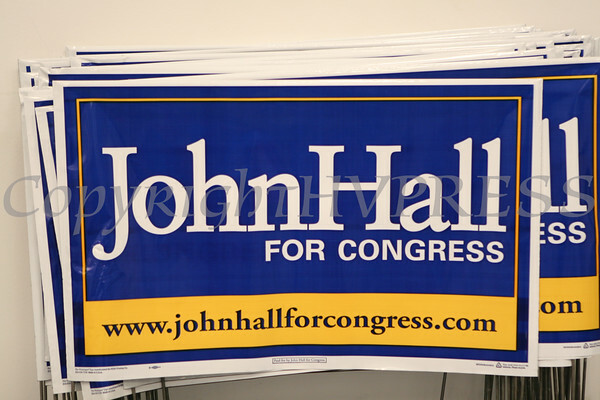 Campaign signs could be seen everywhere as former U.S. President William Clinton rallied support for John Hall at the International Brotherhood of Electrical Workers Local 363 union hall in Harriman, NY on Saturday, October 30, 2010. Hudson Valley Press/CHUCK STEWART, JR.